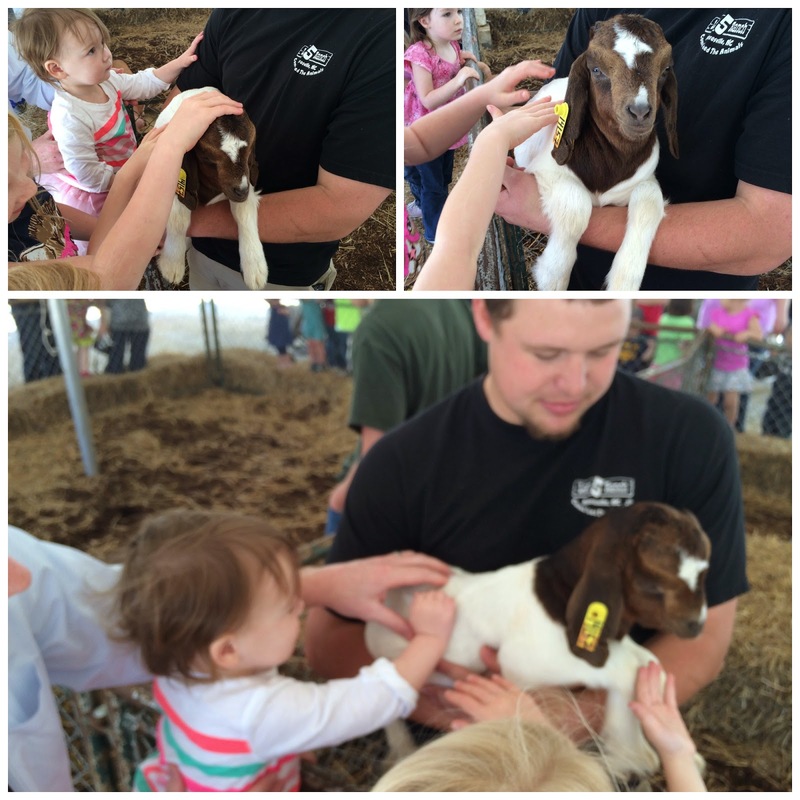 Every year, the College of Agriculture and Life Sciences at NC State University hosts an event called Farm Animal Days where the kiddies can see and touch farm animals. We wanted to go last year but it was raining on the day we'd planned to attend, and even though the event is rain or shine I wasn't up for it with a then-one-year-old who probably could have cared less. I have been excited all week to go today, and I'm so glad we got to go this year - it surpassed all of my expectations. Carney and I took Kinsley, Lilly and Craft, and Prince Danny was even able to take off from work to come meet us on his lunch break. It was crowded but not overly so, and the girls had a blast. 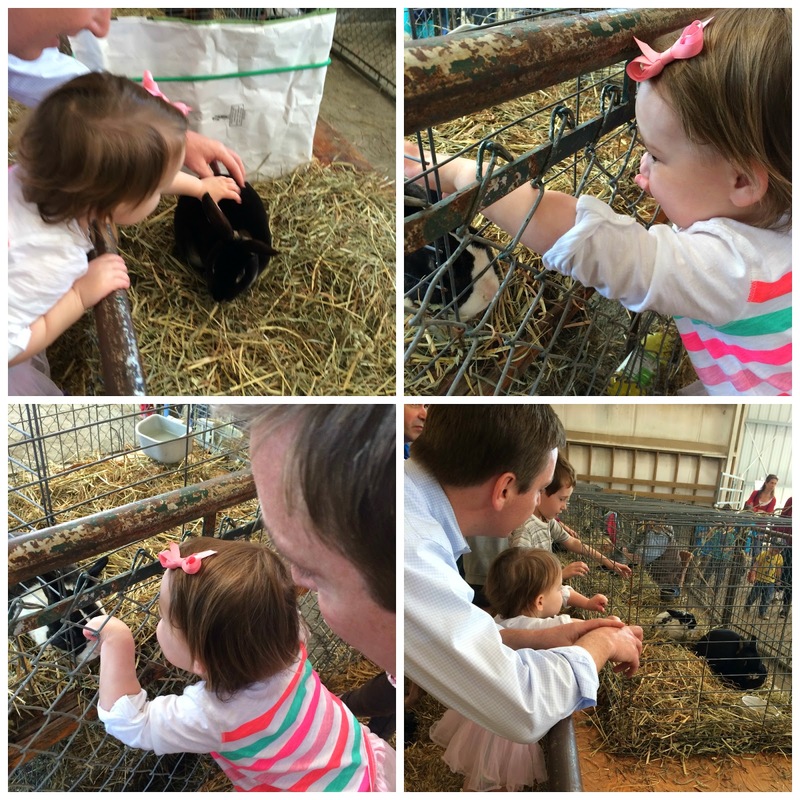 I am not sure what Lilly loved more - touching the animals or climbing on all of the fences. Either way, we had so much fun and I can't wait to go back next year. Best of all? It's free! Actually, I guess the real "best of all" is that there is free Howling Cow Ice Cream. If you are local to Raleigh and have not tried this ice cream, you are insane. Best ever, and I consider myself to be an ice cream connoisseur. And I take back what I said about about Lilly's favorite part of the day, because it was definitely the ice cream. Proof for Meagan that we fit 3 car seats into my Honda! 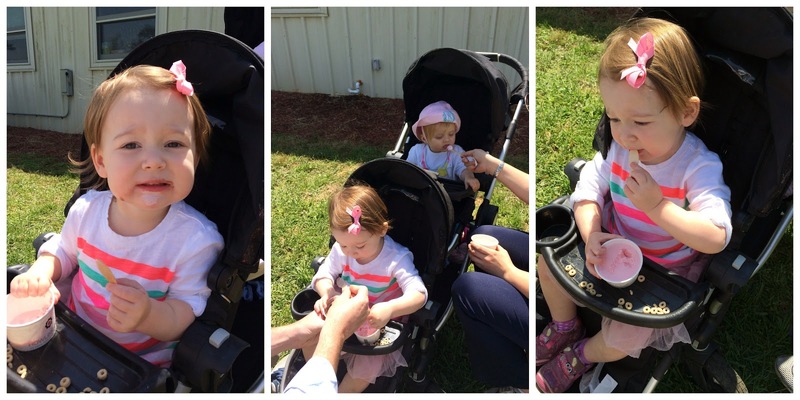 Kins and Lills, excited to go pet the animals. Excited that Daddy was able to meet us! I included this photo to showcase my daughter's choice of attire for the day. Yes, she wore her tutu. To a farm. It just wasn't worth the argument. (Eye roll). Waiting in line to pet the bunnies! This one was the cutest, in my opinion. 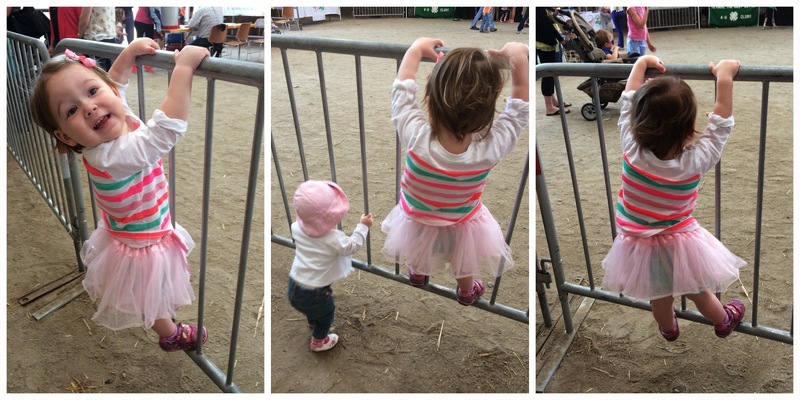 Lilly didn't mind waiting in line one bit because there were fences to climb. And Kins is such a big girl! 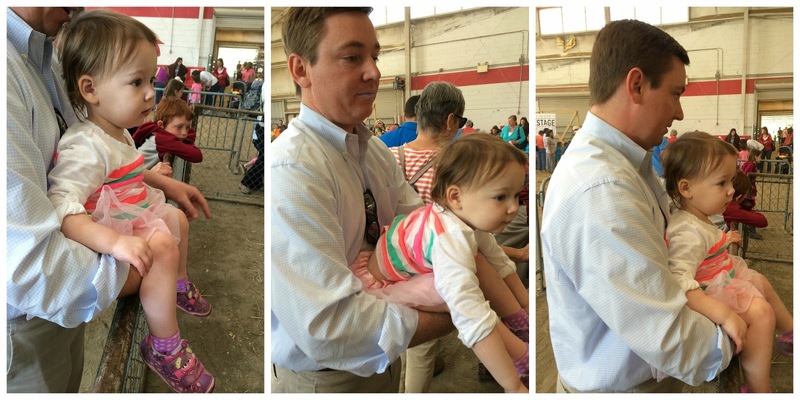 Craft has decided in the past two days that he prefers to only nap while being held, so needless to say he loved Farm Animal Days too. My sorority sister (grand big, to be exact! ), Kristin, and I along with our babies. More fence climbing. And a cow. This was heaven for my child who is obsessed with washing her hands. We have to be clean for ice cream! Only the best ice cream ever. Family photo op. Aside from the fact that I look a hot mess and you can't see Craft because he's sleeping (except for his thunder thighs, you can see those hehehe), I love this pic. Check out Lills hitting on the baby goat's handler in the top left corner. The sheep! 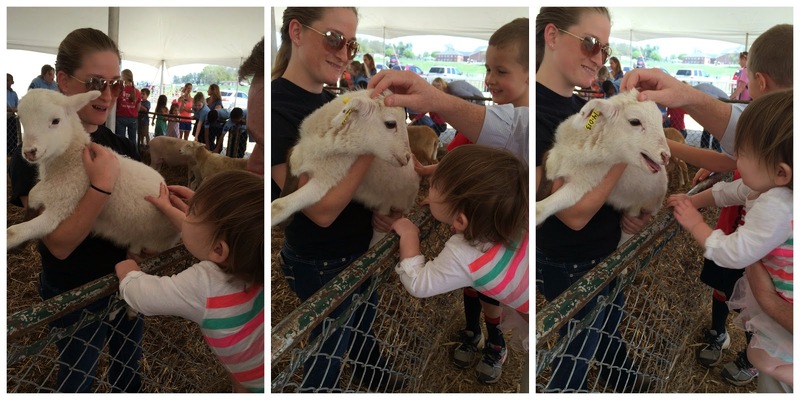 In the third picture, the sheepy sheep went "baaaaaaa" really loud right in Lilly's face and she jumped a mile high. It was hilarious! 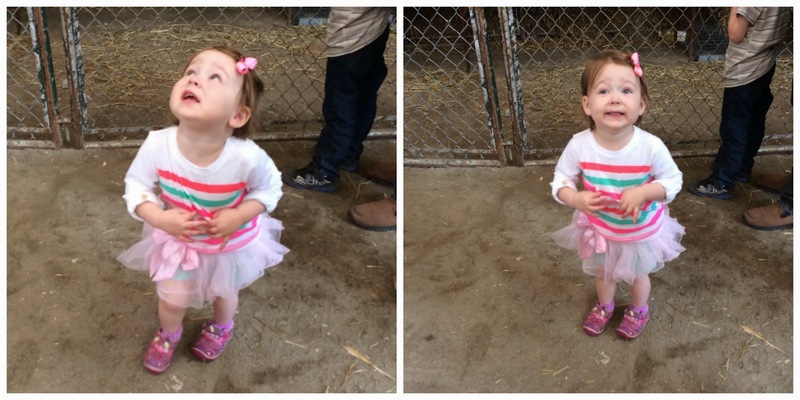 Again, she was much more interested in the fence than the horse. But the nice police officer gave her a sticker and she liked that. 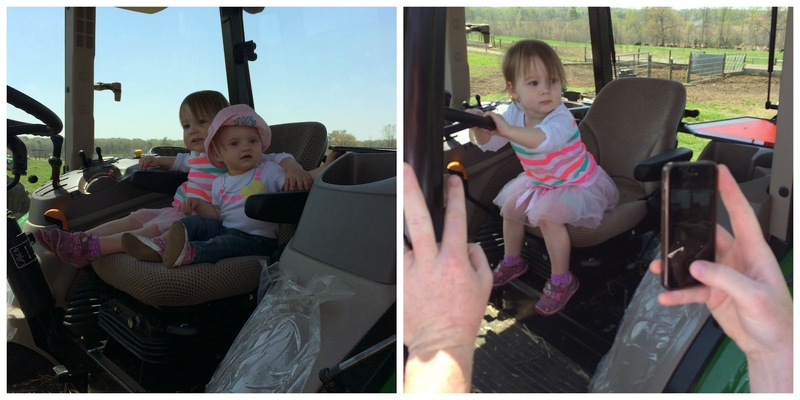 Kins and Lills in the tractor. 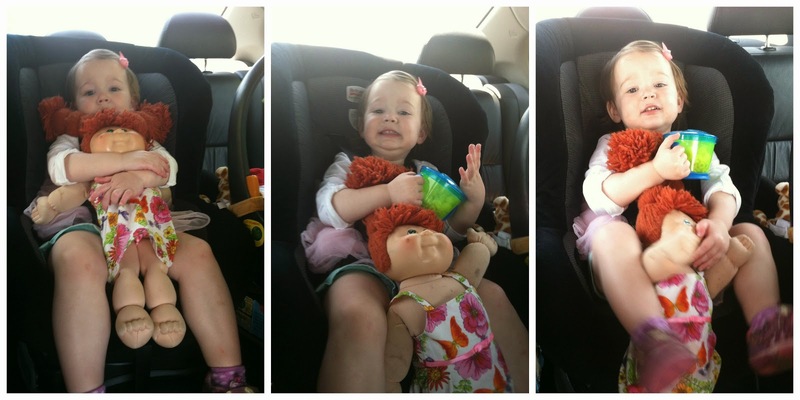 Of course Baby Grace went with us and Lilly was so excited to see her when we got back to the car. We had a great time and can't wait to go back next year. Dan made the day even greater by coming home with new bikes! He dropped by Oak City Cycling Project and picked his up, and then when he got home we went back so that I could choose which color I wanted. Craft went with us and was in a pretty good mood, so when we were done we walked across the street to Wine Authorities to enjoy the weather and a glass of wine. C is sleeping, of course, because he's being held. Oy, this kid. I'll (probably) laugh when I'm done crying.